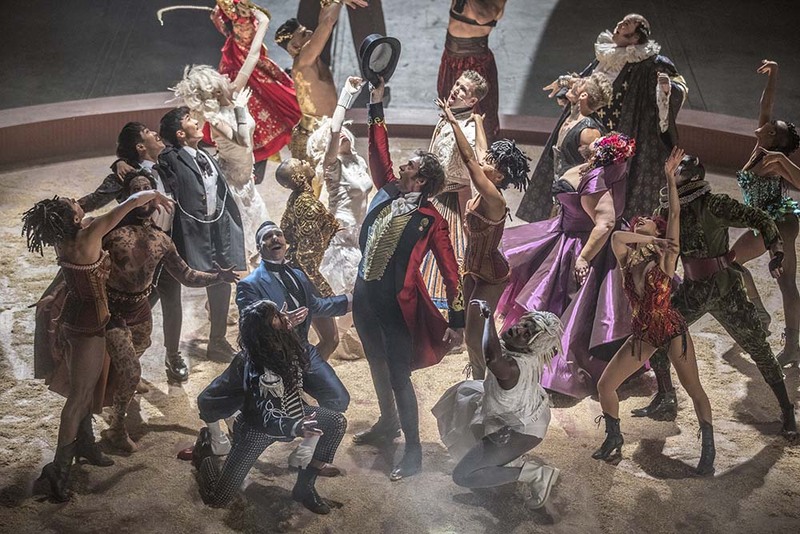 The Greatest Showman is an original musical drama loosely based on the life story of P.T. Barnum — the co-founder of a highly successful travelling circus back in the 1870s. The circus, known as Barnum & Bailey’s Circus while he was still alive, was recently closed for good in May 2017 after 147 years in operation. 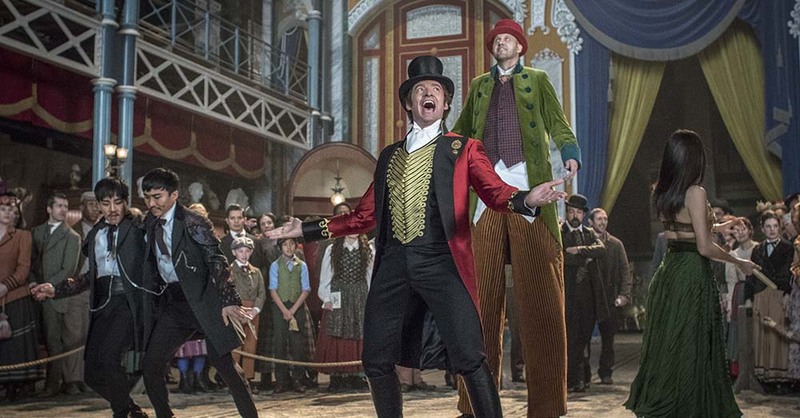 Hugh Jackman (X-Men films, Prisoners) stars as Barnum in the film which tells a semi-fictional, rags-to-riches tale of how the ambitious legend goes from a poor, jobless married man with kids to a visionary entrepreneur in the show business, inventing a circus that features a group of physically unique individuals who’re labeled as freaks by the public. The film is Michael Gracey’s directorial debut and its screenplay is written by Jenny Bicks (Rio 2, Men in Trees TV series) and Bill Condon (director of Beauty and the Beast, Mr. Holmes). This is not an in-depth or accurate biopic about Barnum. Instead, it’s a fast-paced musical inspired by the man’s career, with diversity and individuality as its core themes. If you hate musicals, stay away from this movie as its characters break into songs in like every five to ten minutes. The film’s tone is much lighter than I expected for such subject matter. The narrative breezes through Barnum’s struggles at the beginning so quickly and cheesily, I thought I’d thoroughly dislike the film. When the young Barnum (Ellis Rubin) looks at the young Charity (Skylar Dunn) on the beach and started singing, I couldn’t help but to laugh as it’s just so cheesy and it reminded me of the hilarious 2009 parody music video Wrong Hole. Although the actors provide a lot of charm, their characters are underdeveloped and significantly lack depth. I was not emotionally invested in any of them. While Barnum’s desperate drive to success is obvious, there isn’t a story progression or enough hints on how Barnum gets all his brilliant marketing ideas from or how he plans and trains for the circus. It certainly doesn’t feel like the film does Barnum’s real-life story justice at all. Or how relentless and exploitative he actually was. 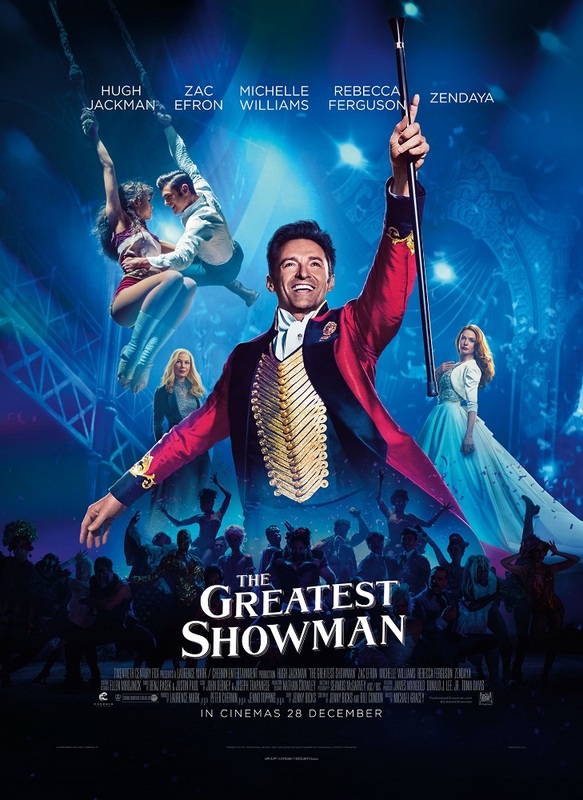 The romance subplot between Barnum’s apprentice Philip Carlyle (whom I suspect is a fictional version of James Anthony Bailey) and coloured trapeze artist Anne Wheeler, portrayed by Zac Efron (The Disaster Artist, Neighbors) and Zendaya (Spider-Man: Homecoming) respectively, is also not explored properly. However, despite all that, The Greatest Showman is still a decently entertaining, crowd-pleasing movie. The current pop-style musical numbers written by Benj Pasek & Justin Paul (lyricists for La La Land) may all sound like Jessie J’s Flashlight to me at first but with the colourful visuals, active dance choreography, context and the vocals, especially by Broadway actress-singer Keala Settle who plays Lettie Lutz the bearded lady, the film and its songs gradually grew on me as the vocal notes goes higher. It may not be the “greatest show on Earth” but perhaps an unsubtle support for diversity and individuality from a general audience-friendly movie like this is what the world needs today. Just ignore that Barnum actually used the unique individuals as tools for his success and not really considered as equals or talented artists. Malaysian censorship: No scene was noticeably cut. Second opinion: My girlfriend also felt that the film was fun but lacks emotional weight. Verdict: Enjoyable but leaving your brains and music taste at the door might be necessary.